Written by Marina Pape on September 30, 2018 Holiday ideas. One of the very first things you should check on prior to the surge in holiday sales is your inventory. You’ve probably already thought about how many products you need on hand, but you should also double-check how your store interacts with those products. If the email notifications are already enabled (which they are by default), you may want to double-check on the email address in the recipient field. Your store administrator’s email address will be used here during setup, but if someone else is managing inventory and product pages for you, you might want to update this. You might also want to increase the low stock threshold. Consider bumping it up to give shoppers an earlier warning that inventory is getting low. Finally, before you leave this page, decide if you want any out of stock items to remain on the store or be hidden. If you’re planning to restock products frequently during the holidays, you may want to keep them around, complete with a “coming back soon” message; if you sell one-offs or are slow to restock, hiding the pages might be the way to go. You can hide out of stock products if you like — your decision should depend on whether or not those items will be returning soon. Once you’ve finished looking over your inventory settings, we recommend moving on to the Checkout tab (look to the right of Products, where you clicked before choosing Inventory). One of the first things to think about: guest checkout. If you don’t already use guest checkout, decide if you want to enable it temporarily (since requiring signups can cause some to abandon their cart). Or, if you do have guest checkout enabled, you might actually want to disable it. Think carefully before checking (or unchecking) this box. This decision depends on your store and what you already know about your customers. It also depends on your need for customer accounts — if they’re required for subscriptions or memberships, it might not make sense to allow guests. But if you only want account information for marketing purposes, you might benefit from the higher sales that a no-login checkout flow brings. On this same screen, take a look at your checkout settings for coupons. If you’re going to be offering coupon codes this year, the first box should be checked — otherwise those codes won’t have anywhere to go. Checking that first option will allow the coupon box to display on the shopping cart and during checkout. Finally, there’s an option on this page to offer a secure checkout with SSL. This is something that goes beyond the scope of this post — you should really have your store security and SSL certificate sorted out long before the holiday season. If you need a refresher, take a look at this post on why you need SSL for your store. Next, head into the Emails tab and double-check the list of messages. These emails are set up to automatically send to yourself, members of your team, or your customers upon completion of an order, when an order ships, if a payment is refunded, etc. If you need to change the recipients of any of these emails, or enable/disable them, click the icon on the right side to change its settings. Check on the status of your store emails, make sure the recipients are correct, and dig into customization and copy before your store gets too busy. If you enable any emails during the holidays that you don’t normally use, make sure all your emails use the same design and have consistent messaging. Customers will be confused if they get a fully customized order receipt followed by a plain-text “your order has shipped” message. Check on your store’s emails – if inconsistent, holiday shoppers will be confused. If you’ve never customized your email design to match your store, now is a good time to get this done. 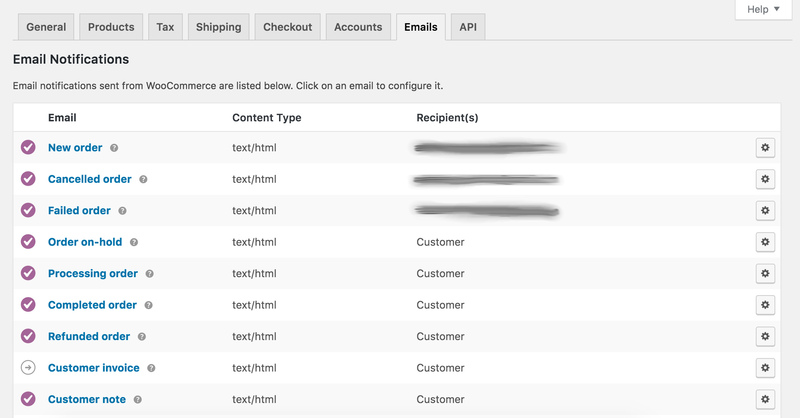 We recommend the WooCommerce Email Customizer extension to get a head start on this process. 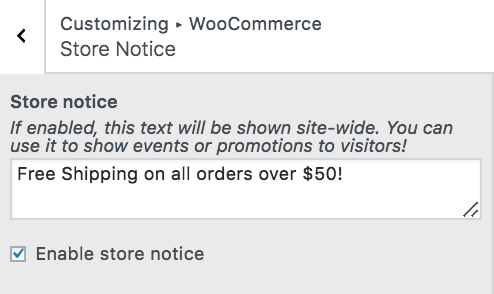 With the Email Customizer extension I was able to make my own WooCommerce emails pink, bump up the font size, and increase the overall width. Remember that these transactional emails will send to customers automatically, so it’s preferable to get their settings right now instead of halfway through the holiday season. As we mentioned in our post on extensions for holiday promotions, it doesn’t matter what you do with your store unless you get the word out about it. That’s why you should check on your on-site messaging before any sales or holiday events begin. Deadlines for redeeming coupons or using points, rewards, etc. If you want further messaging in your store, there are a variety of other options you can try. 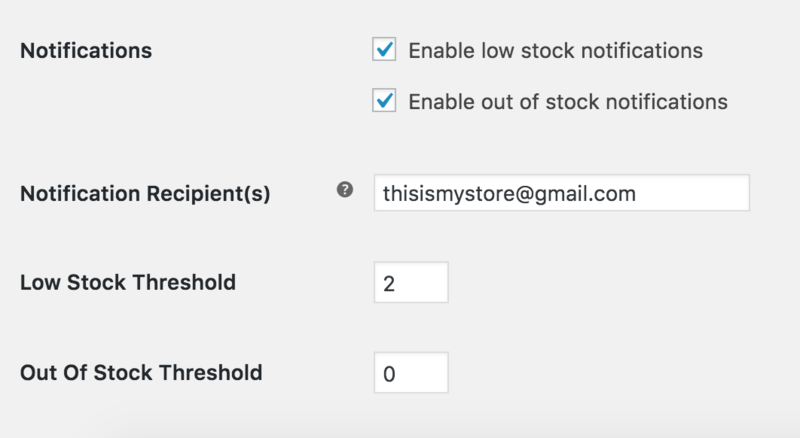 One example: the Cart Notices extension allows you to display in-cart messaging to shoppers based on how close they are to earning free shipping, whether or not they’re eligible (or almost eligible) for a discount, and so on. Cart Notices appear in a shopper’s cart (as the name suggests) and can be customized in many ways to meet your needs. Even though your payment settings are probably all in shape if your store is up and running, it’s good idea to double-check settings before the holidays. Create a few test orders to be certain that the shipping costs are being calculated and applied correctly by item, delivery location, weight, etc. You might also consider adding some newer features, like Apple Pay, PayPal Checkout‘s smart buttons or Amazon Pay, to speed up checkout. Amazon Pay makes it possible for customers to sign into their Amazon account during checkout and pay for their order with their saved card. That’s our list! From checkout settings to messaging, these are the WooCommerce settings we recommend reviewing before you get really busy with sales, shipments, and the general rush that this time of year brings. Have any questions for us about what settings you should be checking in your WooCommerce store this holiday season? Or any recommendations of your own to share with your fellow store owners? We’d love to hear from you in the comments. Thanks for sharing the wonderful article with us and these tips really help me to increase my sell. Really, I love your all tips. Thanks for these tips and keep writing. Awesome tutorial on optimizing the store. However I always mix content delivery network and a powerful web server; the outcome is snappy. I never tried to customize the mail and now will try this feature too. Very nice advice, it can be add to the overall checking list before launching an ecommerce. The email personnalization is a revelation for me. It lack on woocommerce an email editor for merchant so they don’t have to deal with html.